The Course Rating for IM Switzerland is 05:46. IM Switzerland is a P-2000 race. It has a total prize purse of 40.000 US$, paying 6 deep. The strength of the field is 14% of a typical Kona field. Note: Athletes with a ‘*’ are also registered for another race within 8 days. 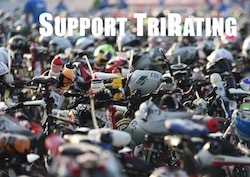 The strength of the field is 13% of a typical Kona field. There is a couple of athletes on the start lists that are already safe for Kona: Cameron Wurf, Ruedi Wild, Kaisa Sali, and Lisa Roberts. At least some of them will still toe the line in Zürich. The final slot allocation will be getting close with the last few races, with the results above the athletes at least have a chance (even if not a guarantee) for a slot. For more details, check my blog post analyzing July qualifying.